to the BBC, yeah, yeah, yeah. 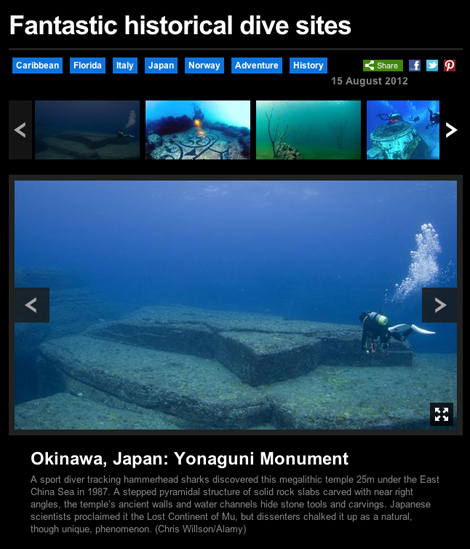 One of my photos from the Yonaguni Monuments was on the BBC website a couple of days ago. Groovy baby. Well done. That is fantastic. Hopefully the journalist uses more of you photos in the future.